The EYFS has four themes which act as ‘golden threads’ pulling together all of the principles and research that underpin the requirements for teaching and learning of babies and young children in England. 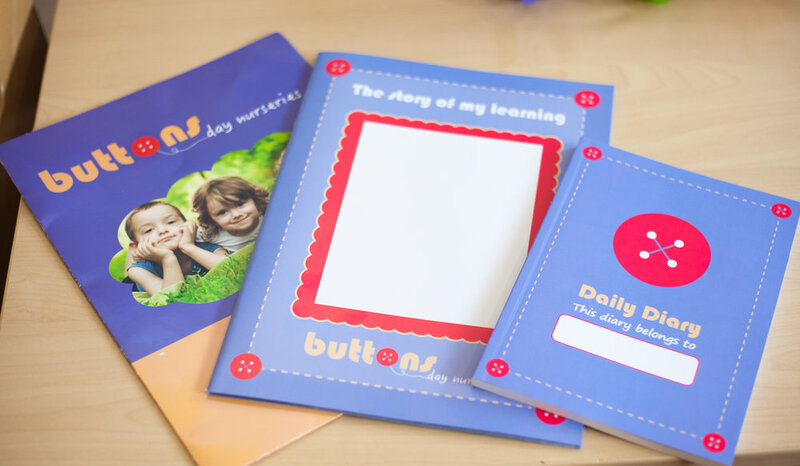 These themes reflect the pre-requisites to enable children to become confident learners, who form positive relationships with others and are inspired to love learning forever. Babies and young children are first and foremost individuals, with unique personalities and a variety of abilities. Ideally, schedules and routines should flow with the child’s needs and not be tailored to meet the needs of adults. Our planning for babies and children starts with talking to parents and carers and spending time with and observing in order to understand and consider children’s current interests, development and learning preferences. The foundations for learning start when children feel safe, secure and happy. Where children form strong attachments with adults, they go on to become confident adults in the future (Bowlby, 1986). Building a strong and trusting relationship with a child helps practitioners to know how best to plan for their learning. They take into account: preferences, learning style, home culture and development stage. Good planning meets the ‘holistic’ (whole person) needs of the child and ensures effective foundations for learning. Our "play partner" system allows children to build strong, caring bonds so that they feel secure and confident in the nursery and beyond. Everything in the environment can’t be planned for on paper but cleverly organised environments encourage learning and promote thinking. A learning-rich environment is considered to be the ‘third teacher’ (Malaguzzi, 1995) in which children’s experiences should respond to their individual interests, needs and learning styles. Our interactive planning provides not only planned ‘adult initiated’ activities for groups and individuals, but allows us the flexibility to take advantage of ‘teachable moments’ that occur throughout the day, using spontaneous and unexpected occurrences. For example, the discovery of a spider in the garden, a rainbow or a fall of snow, all provide wonderful learning opportunities for practitioners to utilize, whilst the child is captivated and interested in the phenomenon. We have the privilege of observing a child’s reaction to seeing something for the first time and so we embrace and extend this rather unique opportunity, rather than take the child away from what they are enjoying to do something else. Pivotal learning takes place when children are engaged, stimulated and highly interested. Where the EYFS themes are well catered for, learning and development naturally happens. We know that all children have different ways of learning and some will reach certain milestones quicker than others; this is normal. Some children become skilled in areas such as creativity; others walk or talk earlier or later than their peers; this is all normal. There is no such thing as a ‘typical’ child; only a ‘unique’ child. However, sometimes children will struggle and some children will need extra help from time to time to enable them to reach their potential. Where assessments show significant gaps in learning, it is our job to work with parents and carers to identify what we can do to support the child’s learning, to narrow these gaps. The EYFS Framework explains how and what children will need to learn to support their development. 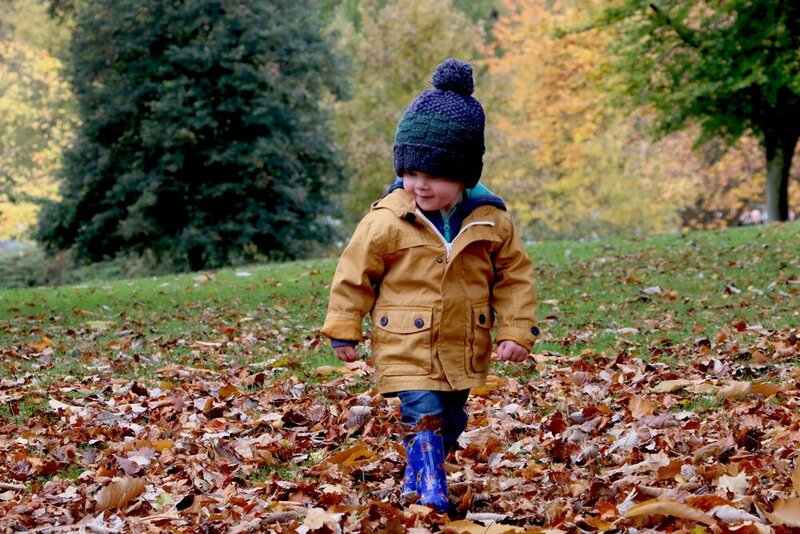 The characteristics of effective learning (EYFS, 2014) explain how children learn through: Exploration, Critical thinking, Having a go.We promote independent learning in our children, so that they have lots of time to explore, talk and think and try things out for themselves. This is how they will learn to make decisions and become confident to learn through their mistakes and successes. How does my world works? Regular observation informs planning. Play partners will often stand aside for a while and leave room for learning, observe carefully what children do and use their observation to try to think what the child will want to do next. They build on children’s existing knowledge and their interests to plan activities that will allow children to learn new skills and build on what they already know and can do. Ongoing (formative) and summative (12 weekly) assessment plays an important part in helping parents, carers and practitioners to recognise children’s progress, understand their learning needs and plan activities that support children’s development. We never test children and children never know they are being assessed; our practitioners adapt activities to suit the age and stage and needs of individuals and extend learning as they see it happen through appropriate challenge. Regularly throughout the year you will receive your child's "summative assessment" and between the ages of 2 and 3 years a `two year progress check'. You can arrange to meet with your child's play partner and the nursery manager at any time should you wish to discuss your child's development. Within the summative assessment, the play partner will make a professional ‘best-fit’ judgement about the age and stage the child is working within, using the ‘Early Years Outcomes’ document and decide if the child is emerging, developing, or secure. This information is taken from written and visual observations, our experiences with the child and contributions from parents and any other professionals that may be working with the child. Appropriate supportive next steps will be planned in each area of learning. The most important thing is for the practitioners to check how well the child has progressed since their last assessment regardless of where they are on their personal learning journey. What does curriculum planning look like? We use ‘wipe boards’ for planning. That way we can be spontaneous and flexible. We plan different activities every day and sometimes we repeat favourite activities to allow children to revisit and consolidate their learning. Also, children who enjoy repeated behaviours (Schema) are able to review their ‘research theories’ and add to their knowledge. Specific planned meaningful experiences that differ from what is already readily available to the children in the environment – this means that we enhance the continuous provision. E.g. facilitating an experiment in the art area; taking a trip to the library after talking about a favourite book; planting seeds in the gardening to grow our own vegetables etc. Mixture of adult and child-led. Babies' planning will be mainly child-led, focused on individual development activities with the balance of adult-led changing as children are preparing for school. Children’s current interests, schemas and spontaneous planning. These are the things that we add as we spot them through observations. They might prompt a separate activity idea, a specific story or allow us to adapt the environment to reflect children’s interests. Indoor and outdoor play opportunities to make sure children’s preferred learning environment provides activities that are right for them. For example, if a child likes to be outside, there is little point in putting his favourite toy indoors; if boys have the opportunity to record the number of buckets of gravel they need to make the scales balance, it is more likely that they will engage in mathematics than if we try to keep them indoors. We always welcome ideas from our families, please feel free to make some suggestions. For example, tell us when your child has learned to ride a bike and we’ll make sure the bikes are outside to help him to build on the new skill. Practitioner role modelling, behaviour or language. Here we add in what the adult will do or must be aware of with certain activities when considering the needs of the room e.g. provide key words in certain languages, allow babies time to respond, include time for post activity discussion, adult to demonstrate etc. •What resources and actions are needed? What does curriculum planning look like for babies? For younger babies the planning will look very different. It is important to remember with babies we are focusing on Communication and Language, Physical development and Personal, Social and Emotional development, not an end product or post activity discussion. This relies on the adult being alert and reflective ‘in the moment’ and knowing the child well enough to know how to extend their learning. Staff in the baby room will adapt and change activities many times throughout the day to capture babies’ excitement and interests. Teaching and learning is not limited to what we plan for and we know that different children will learn different things from the same experience. Learning is everywhere reflected in the environments, the resources, the daily routines and the relationships with parents and carers and of course… the other children. It is our job is to identify those ‘teachable moments’ and make the most of them. Children must be given time to develop at their own rate putting the necessary foundations in place at each stage for them to be socially and emotionally ready for school. OFSTED are clear that the teaching methods between early years and schools will be different and the reception year at school is a bridging gap between the two; so please don’t worry that your child needs to be fully prepared to adapt to a classroom situation and routine from the day they start school. Through the Specific areas of learning, children will learn essential skills that will prepare them for school. Counting the number of children at the table, laying the table for lunch and helping to prepare snack, all help to provide the foundations for early mathematics (calculation, subtraction and addition). Pouring drinks and serving their own lunch provides opportunities to learn about capacity and develop new physical skills. Sharing books, developing group stories in the role play area and self-registration, all support early reading. Songs, rhymes and music provide the basics for phonics, whilst listening to stories and circle time activities are essential for developing early listening skills, providing the building blocks for recognising sounds in words later on. Children are encouraged to write for a purpose, so they can see themselves as writers of the future. They write their names on artwork; shopping lists or parking fines; they give meaning to the marks they make when they paint and draw. Babies and younger children make marks as they explore the food that they spill on the table or play in shaving foam in the tough-spot. Rolling sausage shapes in the dough provides opportunities to develop fine muscle skills and moulding those sausages into letters to ‘write’ your name is much more fun than doing it on paper. Early years practitioners hold a range of qualifications from apprenticeships to post graduate degrees, with many practitioners having specialist skills and interests through attending various courses. All are considered as teachers in the context of Early Years. This diversity is important in order that the children we care for have access to many different skill sets and experiences. Children’s interest and skills in Mathematics, Science, English language and literacy are nurtured from an early age in nursery through the routines, activities and environments provided. The manager’s analysis of children’s assessments helps the nursery to understand how well they support children’s learning and what their next steps for priority are. Play is the main focus of our nursery day; play is the natural way in which children learn. It is the process through which children can explore, investigate, recreate and come to understand their world. Play is a means for children to establish, practice and test everything they know as well as make sense of what is new. Play is vital to children’s early brain development and establishing the type of learner they will be as they grow.